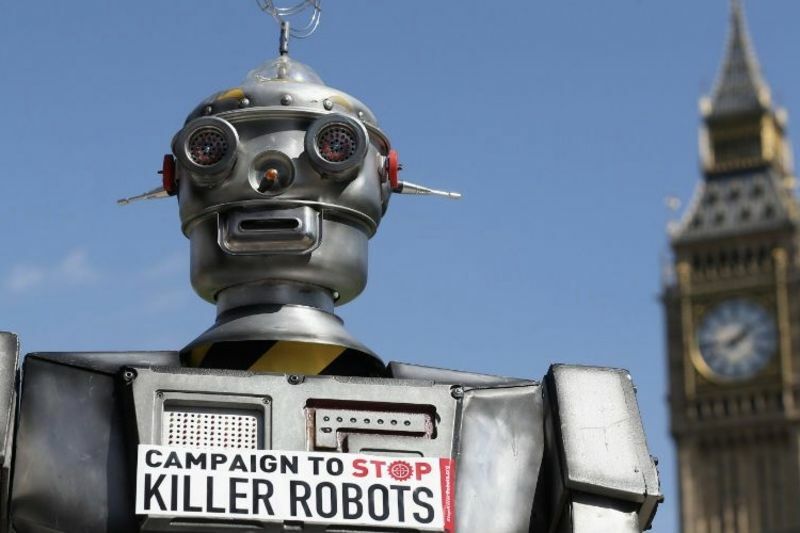 Many countries want to see a new international law of autonomous weapon systems that can target and kill people without human intervention, so why do we need to ban killer robots? The counties that are already developing such weapons are instead trying to highlight their supposed benefits. In Geneva recently, those in favour of autonomous weapons including the US, Australia and South Korea, were more vocal than ever. The US claims that such weapons could actually make it easier to follow the international humanitarian law by making military action more precise. It is highly speculative to say that 'killer robots' will ever be able to follow the humanitarian law at all, and while politicians continue to argue about this, the spread of autonomy and artificial intelligence is existing military technology that is already effectively setting undesirable standards for its role in the use of force. Prominent researchers spoke out against weaponising artificial intelligence, which has helped bring the debate about the autonomous military system to public attention. The problem, however, is that the debate is framed as though this technology is something from the future when, in fact, the questions it actually raises are effectively already being addressed by existing systems. Most air defence systems already have significant autonomy in the targeting process, and military aircraft have highly automated features. This means "robots" are already involved in identifying and engaging targets. Meanwhile, another important question raised by current technology is missing from the ongoing discussion. Remotely operated drones are currently used by the military of several countries to drop bombs on targets. But, from incidents that took place in Afghanistan and elsewhere, it's obvious that drone images aren't enough to clearly distinguish between civilians and combatants. We also know that current AI technology can contain significant bias that effects its decision making, often with harmful effects. As future fully autonomous aircraft are likely to be used in similar ways to drones, they will probably follow the practices laid out by drones. Yet states using existing autonomous technologies are excluding them from the wider debate by referring to them as "semi-autonomous" or so-called "legacy systems". Again, this makes the issue of 'killer robots' seem more futuristic than it really is. This also prevents the international community from taking a closer look at whether these systems are fundamentally appropriate under the humanitarian law. Several key principles of international humanitarian law require deliberate human judgements that machines are incapable of. For example, the legal definition of who is a civilian and who is a combatant isn’t written in a way that could be programmed into AI, and machines lack the situational awareness and ability to infer things necessary to make this decision. More profoundly, the more that targets are chosen and potentially attacked by machines, the less we know about how those decisions are made. Drones already rely heavily on intelligence data processed by "black box" algorithms that are very difficult to understand to choose their proposed targets. This makes it harder for the human operators who actually press the trigger to question target proposals. As the UN continues to debate this issue, it is worth noting that most countries in favour of banning autonomous weapons are developing countries, which are typically less likely to attend international disarmament talks. So the fact that they are willing to speak out strongly against autonomous weapons makes their doing so all the more significant. Their history of experiencing interventions and invasions from richer, more powerful countries (such as some of the ones in favour of autonomous weapons) also reminds us that they are most at risk from this technology. 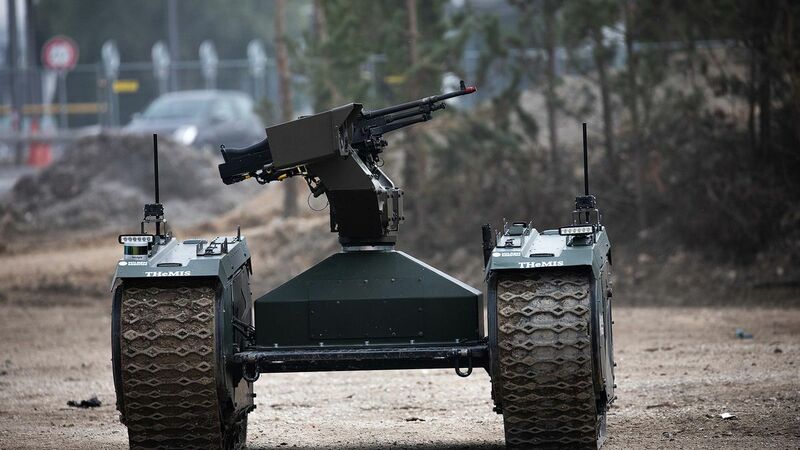 Given what we know about existing autonomous systems, we should be very concerned that 'killer robots' will make breaches of humanitarian law more, not less, likely. This threat can only be prevented by negotiating new international law curbing their use.